Which type of Openreach master socket you have in your premises will depend on how long it has been since it was installed. There are two common types of master socket that our customers encounter, one is an old style master socket and one is a newer NTE5. With these sockets you are unable to remove the lower front of the faceplate - this is an old style master socket. The socket above is an NTE5, it has a removable bottom faceplate. 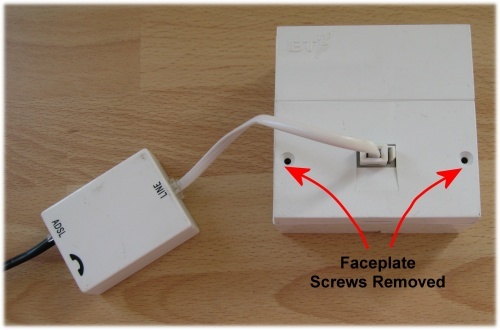 If you remove this faceplate the unit will automatically disconnect all extension wiring, enabling you to test from the socket behind. 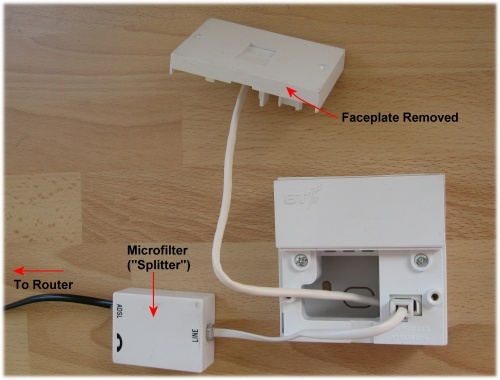 This removes all extension wiring that could possibly be causing noise or a drop in signal quality on the phone line.